Watson x Watson. | Monday's Child. A couple of days ago I ventured into the city alone for the first time. 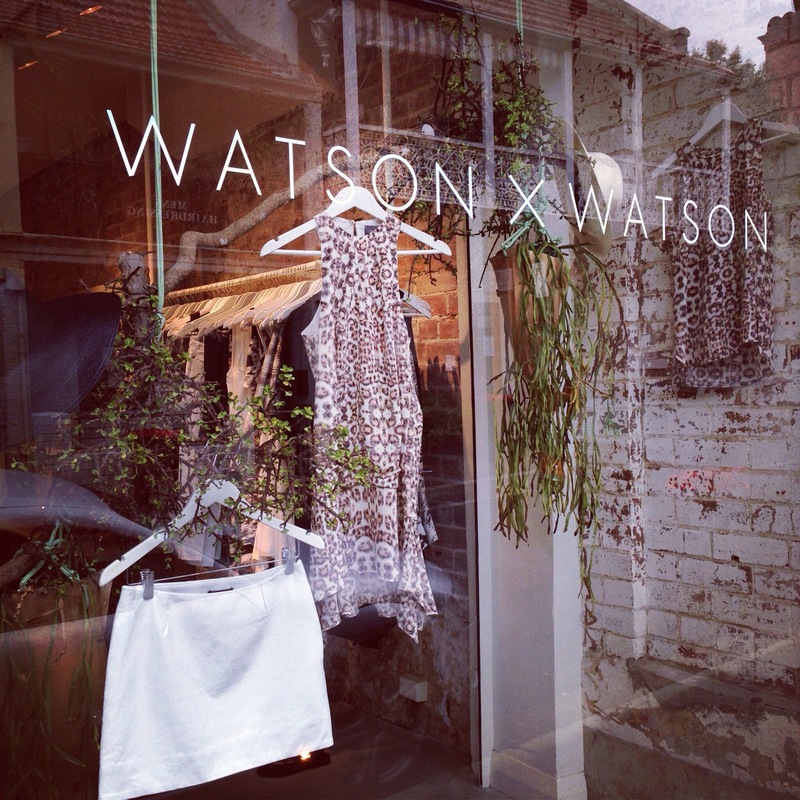 Curious to visit Paddington and desperate to see the Watson x Watson boutique I have seen so many times on Instagram, I made my way there on foot from The Strand Arcade. Passing through Oxford Street I wandered up until I found William Street, a picturesque little hub of the most delightful boutiques and Victorian terrace houses, reminding me very much of Portobello Road in London. In amongst the quirky window displays and wine bars I spotted my destination, knowing already it was something special I entered the store. Welcomed by Liberty, one half of the sister’s Watson brand, she showed me all of the pieces in store including the fabulous, recently launched swimwear range. 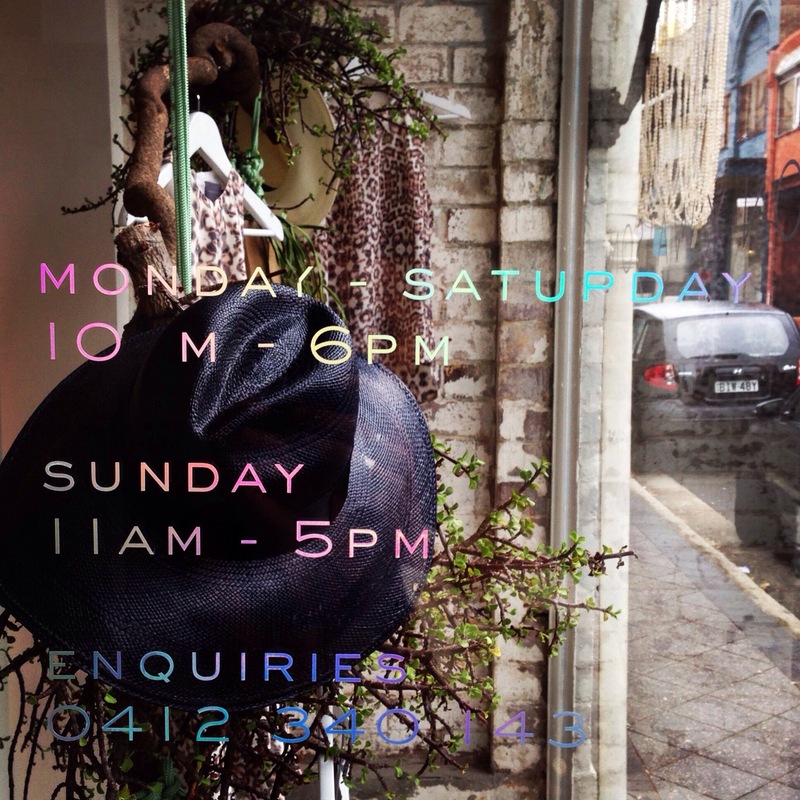 The boutique is overwhelmingly stylish and is full of beautiful pieces, items that you could have in your wardrobe and treasure for ever. 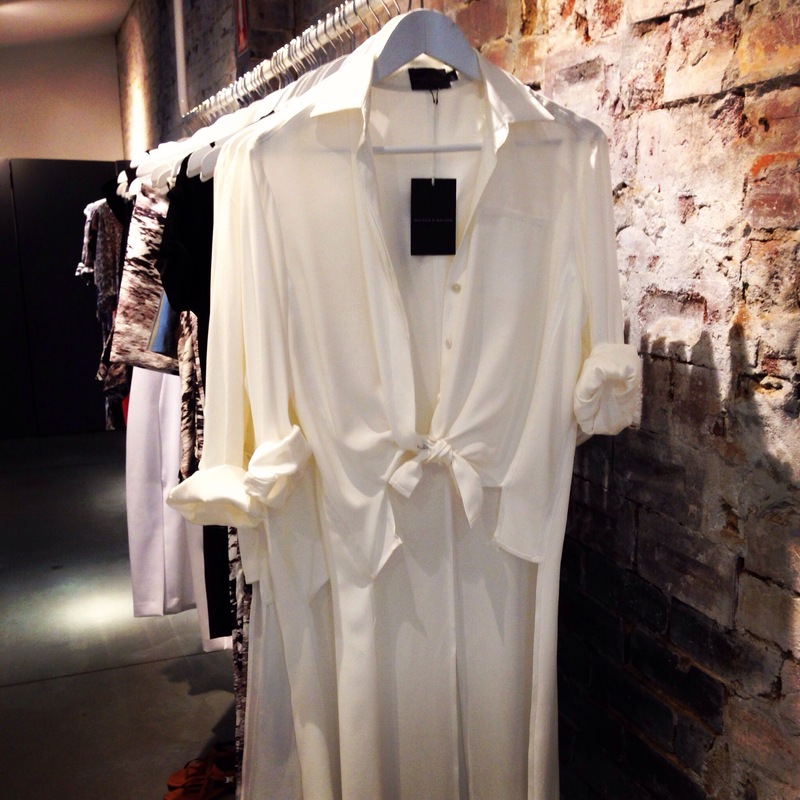 The back tailed silk shirt caught my attention, first in black and then in white. Hanging amongst eye catching prints and the most incredible butter soft leather shorts, I selected a few pieces and headed for the fitting rooms. Believe me when I say this leopard print is perfect… Not too harsh in contrast, with peach blush tones set against a white backdrop making it a wearable print for both day and evening. Worn here with the black silk shirt. 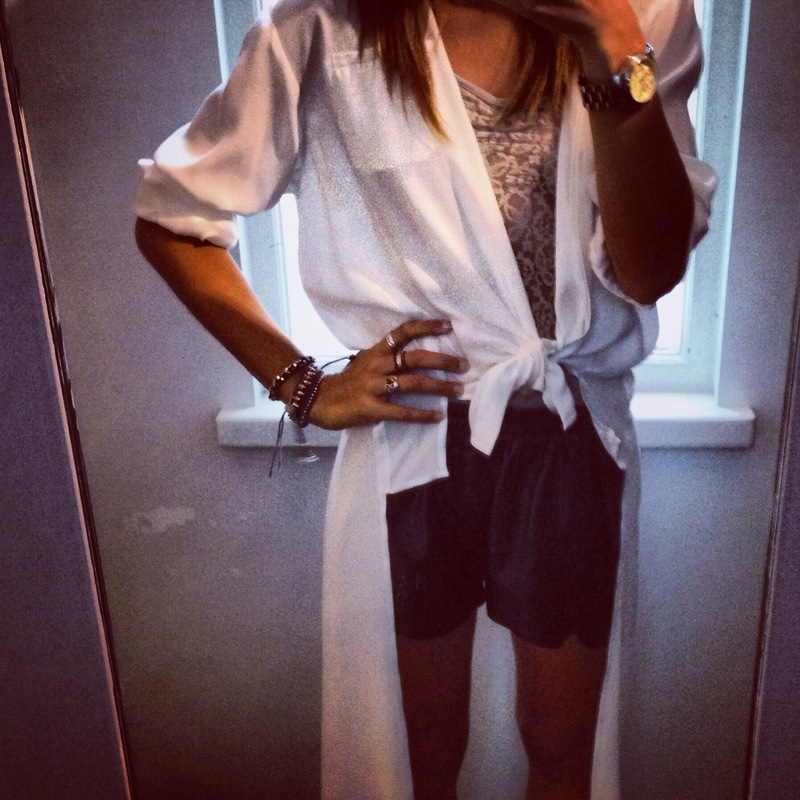 I then went on to try the white version of the shirt paired with the black leather shorts. The shirts were my favourite items in store. Versatile, as they can be styled in many different ways but worn with the tails draping by my side it felt flirtatious and effortlessly stylish, a classic piece I know I would wear for years to come. Discussing the designs with Liberty herself and complementing the collection felt so rewarding, as it is not everyday you are able to tell the designers directly just how much you admire their work! 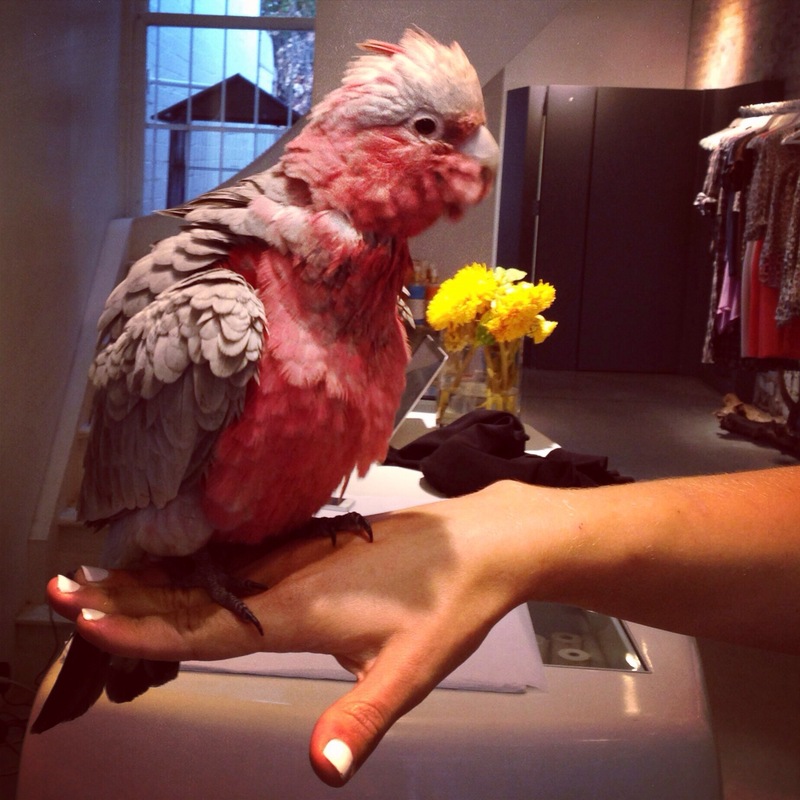 She introduced me to her pet Galah ‘Miguel’ or ‘Miggy’ for short, who strutted around posing for photographs. Exchanging details and promising to feature him on Instagram I left the boutique in the promise to return again soon… And I cannot wait for my next fix of Watson x Watson. ← Tomato, Coconut & Chilli Soup.